First impressions count. This also applies to dolls. Firstly, there are certainly the right body proportions that make up a lot of this impression. Or even the clothes that strike our attention… On the other hand, we tend to first look at the dolls eyes, or more precisely said the whole face. Or even head, noticing the hair on first glance also. 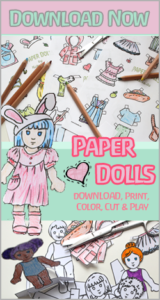 Of course, children are more open-minded and perhaps less picky than adults in this aspect, but then again it may be quite the opposite – they have very specific ideas and wishes about how their doll should look like. Unconsciously a child will choose the doll it needs just for its own current inner need and development. This of course varies from one little personality to the next. ; ) Children therefore have a slightly different view and demand of their doll and therefore often tend to look for quite different things in a doll than we ourselves. 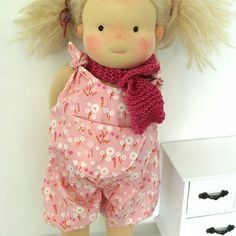 Especially for younger children, it can be better to have a rather simple crafted doll, who leaves more space for the imagination and interpretation of their own (ie the very little facial features leave the dolls mood open to the child’s interpretaiton: one moment the doll may be sad and the next happy just like the child needs the doll to be in the moment), enabling the child to project and process the own inner feelings onto the doll, which they maybe otherwise could not verbally express yet. As someone who creates dolls myself, I ‘ve gotten an altogether different eye for dolls. For the details and the whole composition. I have developed my own aesthetic preferences that certainly not everyone shares. But even this taste and perception of my own may change constantly and be in the flow. Just like the whole doll making itself also. The doll heads shape is always very important to me. Personally, I like nice round heads with chubby cheeks. Whether the head now may possibly be modeled with the needle felting technique or not, always depending on the doll and taste to be decided individually. 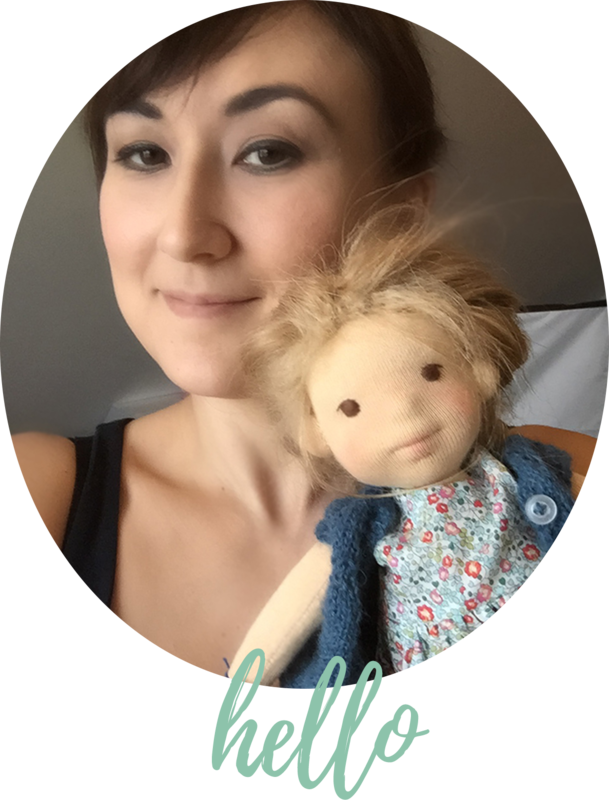 I myself like the traditional dolls with simple facial expression as well as the recently increased trend in doll making of those needle felted faces. Each doll possess its very own appeal and special character. The dolls head is typically shaped from a round ball of sheep’s wool. 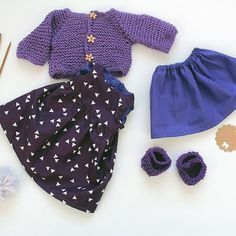 The first stumbling block when making doll can already be hidden right here, namely if you failed to mold the wool tight and evenly around the ball. This may be if the strand wrapping is too thick. A thinner strand can wrap around more evenly. Also it should lie flat and not be twisted in itself. The strand should then be wound as tight as possible around the core until the desired head ball size has been reached. If one winds it too loosely, the ball my deform later on (wool tends to collapse a little with time). I always start my doll’s head ball with a knot at the beginning of the woolen strand . This way I will get a more solid inner core which I then can wrap the remaining strand around while slightly dragging it. One should also add change of direction in order to obtain a uniformly round shape. You might want to also work out the round shape even more with the help of a felting needle, so any unevenness can be “felted away” until you get a nicely shaped and symmetrical round ball of wool. Since I often am working on several dolls simultaneously, I have made ​​it a habit to make my doll heads by the dozen. ; ) No, seriously, I find it easier to make more equal heads in a batch. Once you get in the “flow” of things the headrolling has almost a meditative character to it. My only problem then was that I tend to make larger or smaller heads with time and they could get unequally over time… But a simple wire saved the day: I got a solid wire and bent it into a circle that exactly had the diameter I needed for my doll’s head. So I pull this wire ring over the heads from time to time when rolling them in order to check, whether it is large enough already. This way you always get nice and evenly sized heads. Finally, the head ball is tied with tear-resistant yarn to form the eye line and the shape of the cheeks and the chin. The heads ball is tied off directly under the chin with tear-resistant yarn and a loop knot. Try to avoid making what I call a “pear head” (commonly also refered to as “sausagehead”): This means the face will look like the chin vanishes into the chest without a chin even showing. The whole head thus resembles an upturned pear or long sausage. I’ve learned that it helps if you compressed the finished rolled head ball a bit with the felting needle before, in order to maintain a firm head shape. Care should be taken when making the head in the first place. Put some time into it, trying achieve a nice and evenly round shape that is firm. Work with the felting needle if needed. Moreover the yarn tied under the neck and chin of the ball should be positioned as close as possible to the ball itself. If you can tie it directly under the ball itself and pull it very tight. If you still can move the string around afterwards, it will loosen up later and deform. So loosen it and tie it up again. You could of course always model a small chin or create the doll with a neck to avoid the sausagehead. However, you should make sure the neck also has no wrinkles. A wrinkly doll neck is a sign of the so-called “ghost neck” (because it looks like the wrinkles on the neck of a simple ghost costume, where someone simply thrown over a sheet and which then is tied at the neck). This unpleasant phenomenon can be avoided by cutting the jersey as narrow around the throat/neck as possible. Then sew it with this little curve in the back just below the nape. Therefore no excess fabric should ne able to pucker around the neck. 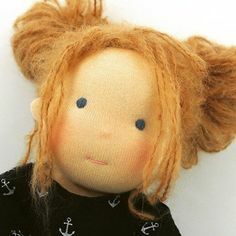 Same things as to avoid the “sausage head”, also help against these dolls disease – you have to pull the fabric tight on the head and then tie off the head just below the chin just above the inner neck thread. In addition you should sitch the lower skin fabric to the so-called “muff”. This way the fabric will be tightly stretched to the bottom again avoiding wrinkles around the neck. Wobbly heads are only funny when they are the ones on car dashboards. With dolls, they are a serious “disease symptom” which needs immediate treatment. ; ) No – seriously, a doll wobbling its head around with every movement swinging back and forth, especially should this be recorded on a regular basis, will not be long joy. Such a shaky doll head can be especially annoying if the doll has heavy woolly hair. Or looking at the poor little doll which is being played with while bending its head away in all directions with every little movement. Not a pretty sight. However there are several different and proven solutions for this problem. First off it is advisable to work a kind of spine when creating the head. Add also shoulders to the muff/bead (the wool hanging out from the head down). The stability of the neck is depending on how firmly the gauze or fabric is stretched and anchored downwards. 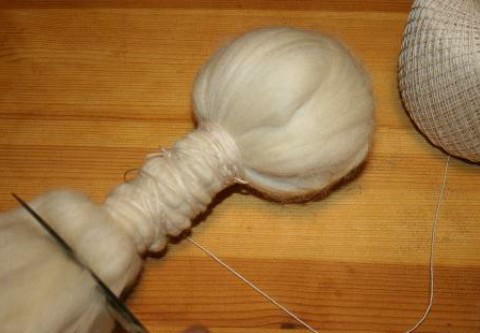 In addition you can create a stable neck in the production of ball head simply by felting the neck. It should be quite firm though. Also try to keep the right proportions in mind – don’t let the neck get too thick so it would not match the head. But also make it thick enough to provide the stability needed. Again, the proportion and proportionality must still be given concerning the head. Another solution may be to wrap a strip of wool into a roll firmly around the neck and adding yarn tying the strip tight. This solid roll is then incorporated as a connecting piece between the head and body in the head and neck. But you can also simply gather the rest of wool under the head and firmly wrap the yarn around in order to achieve more stability for the neck. 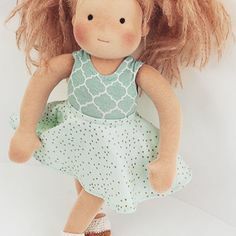 In any case, you should always make the “wobble test” before sewing the doll’s head to the body: take the finished head holding on to the neck end and wobble it slightly back and forth. You then can already see whether the head is sitting firmly on the neck or if it still tends to wobble around a lot. If latter is the case you will have to work some more on its stability. With all the reflections on proportions and the right way of working on a doll, at the end of the day a doll above all is a hearts project. So a doll with a “sausagehead” and wrinkled neck can be just perfect for one when made with love and care. And maybe therefore this imperfect one is even much more lovable than the most well-proportioned and perfectly crafted doll. At the end it is one ‘s own feeling for doll and the heart that speaks to us when falling in love with a doll. Fortunately. This is so so interesting. Your post is absolutely helpful for me. Lots of sources, videos. Really great. Also your general notes on dolls and doll making give a wider perspective. I could not quite understand the part releated to the so called “Ghost neck” which is very interesting. I guess my Google translator could not cope with translating from German into English this time. Maybe i will get around writing the english version of this post soon, too.